If you are looking for fast weight loss tips then you have come to the right place. 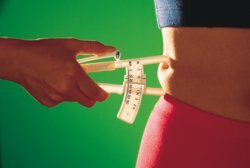 Whether you are currently on a diet plan and need a bit of extra motivation, been a serial dieter in the past without getting the results you desired, or are looking to start on your first diet plan and want to try out a couple of techniques to get things moving along before you dive head-first into it, you will hopefully find at least one article here that should be of use. There are literally thousands of different tips available from every provider within the industry, each one targeted towards selling their individual programs and associated products, so it can be extremely difficult to wade through all of the information and find useful unbiased advice. Here at RealDietPlans.com we are not tied to any one plan and look to remain completely impartial so all of the information provided within this website will always be completely neutral. I hope that you enjoy these fast weight loss tips and be sure to get in touch if you have any other topics you would like information about as you can bet thousands of others will be thinking exactly the same thing. Low Calorie Cocktails - Don't Blow Your Diet on High Calorie Booze! Is a Food Combining Diet Just Another Fad? Coffee Dieting - What's it all really about? Do Cheap Slimming Pills Really Work? Does A Fruit Detox Diet Actually Work? Can Low Calorie Wine Save Your Diet? Metabolic Typing | Quick Weight Loss | Contact Us Copyright © 2011- RealDietPlans.com. ALL RIGHTS RESERVED.